This year in April, we will be celebrating 1styear anniversary of sugar tax. There is a threshold of 4g sugar/ 100mL of beverage below which sugar is not taxed. SSBs in excess of 4g sugar/ 100mL beverage will be taxed at 2,21 cents per gram above this rate (this is approximately 11% for the most popular soft drink). Syrups and concentrates in excess of 4g sugar/ 100mL beverage will be taxed at 1,05 cents per gram above this rate. Sugar tax will be in its in 1styear anniversary in April 2019, it was introduced in April 2018. Currently South Africa is the first African country to introduce sugar tax and it is at 11% while the World health organization (WHO) recommends it to be at 20%. Free Sugars (added sugars) vs Intrinsic sugar – why some other foods with “sugar” are not taxed? Free sugars are energy-providing sugars, such as monosaccharides (e.g. glucose, fructose, galactose) and disaccharides (e.g. lactose, maltose and sucrose – called table sugar), that are added to foods and drinks during processing by food manufacturing companies, cooks or consumers, as well as sugars naturally present in honey, syrups, fruit juices and fruit juice concentrates. Free sugars do not include intrinsic sugars, which are sugars incorporated within the structure of intact fresh fruits and vegetables, and sugars naturally present in milk. There is a la high intake of free and added sugars (especially in the form of SSBs) to an increased overall energy intake and subsequently weight gain (and an increased risk of becoming overweight or obese). Are fruits high in sugar? Fruits in their fresh form contains fibres (e.g. skin), and are in the food matrix, we also take time to bite and chew a fresh fruit. This contributes to the slow and steady absorption of the sugar (fructose) found in a fruit. Hence, fresh fruit cannot increase your blood glucose levels like a chocolate does. However, dried fruits & fruit juices are much more concentrated with sugar and they will spike your blood sugar levels much more than a fresh fruit even if the sugar content per 100g is the same. South Africa is in the top ten of countries that consume soft/fizzy drinks around the world. From 1998 to 2012 south African doubled its soft drink consumption from 2.29 million litres a year to 4.74 million litres. Fizzy drinks increase the risk of being overweight by 27% in adults and 55% in children. There is growing evidence that links a high intake of free and added sugars (especially in the form of SSBs) to an increased overall energy intake and subsequently weight gain (and an increased risk of becoming overweight or obese. Obesity is one of the risk factors of diseases such as diabetes, hypertension (heart & heart related diseases). SSBs are provides us with empty energy (fuel) and no vitamins & minerals that our bodies need for nourishment. With the increased consumption rate of these drinks, South Africa just like other countries such as Saud Arabia, Mexico, the United Kingdom (UK). It will be a year in April 2019 since the sugar tax implementation in South Africa, data is being collected and studies are in place to monitor sugar tax. 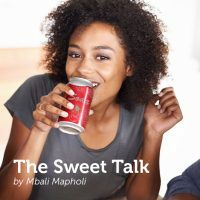 The premise of sugar tax is based on health promotion, therefore, there is an assumption that sugar tax will improve health of south Africans and help reduce obesity rate. Hence, sugar tax cannot just be cut now abruptly before giving it enough time to prove that it works on not. What we know for sure is that the revenue/tax is collected by the South African revenue services (SARS), so basically the revenue generated from sugar tax should ideally be used to fund further investigations and interventions, to help reduce obesity in our country. Obesity is rapidly growing out of proportion, much the same as many South African’s waist lines. So, will sugar tax alone help decrease the burden of diseases? Is it that bad? Are we eating lot of sugar? The world health organization (WHO) recommends adult intake of less than 6 – 12 teaspoons a day and South Africans are currently at 12 – 24 teaspoons a day. (1) The SSBs make one reach their 6 teaspoons a day very quickly, for example 1 can (330ml) fizzy drink contains about 7 – 8 teaspoons of sugar, then you can do the math. How sugar tax has affected jobs in South Africa? In country unemployment is a huge problem, we are faced with a catch 22 situation. Obesity is growing at an alarming rate and unemployment resulting in food insecurity is growing, and the last thing needed is to solve the other problem while worsen the other. Currently, companies that produce sugar and that make SSBs are complaining that Sugar tax is resulting in loss of money and jobs. I think a lesson could be learnt from the UK where SSBs producing companies became proactive. Others reduced the sugar and played around with “no sugar added” terms which attracted the consumer and others developed more modern ranges with alternative sweeteners/ sugars such as stevia. Sugar producers can investigate planting stevia plant and make stevia as an alternate sugar. Sugar tax is here now and if it is then proven to work for the South African population, it is then here to stay. Other companies are adding water to their juice but keep the price – so how are they losing? While other companies have reduced the containers e.g. cans, bottles but kept the price – how are they losing? The potential loser is the consumer, paying more for less. Consumer needs to be educated on this so that they can make healthier and wiser decisions. Are Artificial sweeteners being deadly?